Microsoft certainly made a splash this morning at its 2015 press event, announcing a slew of new and enticing hardware. It’s hard to keep track of it all, but here’s a short list of everything the company announced while onstage. Microsoft has incorporated some trendy design cues into its Lumia flagship Windows phones, debuting with the Lumia 950 and 950XL. Both take advantage of the latest Windows 10 operating system. The difference mainly comes down to the size — 5.2 inches and the 5.7 inches, respectively. They both pack 3 GB of RAM, 32 GB of storage, USB-C, Qi wireless charging and microSD card support. They also have 20MP rear-view and 5MP front-view cameras. There’s a slight difference in processors: the smaller 950 runs on an octa-core processor, while the 950XL has a hexa-core powering it. 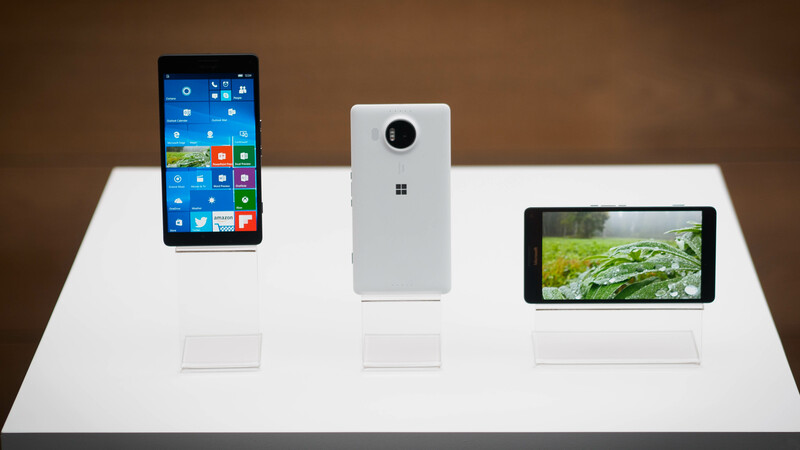 If the $549 price tag is too steep, Microsoft has another option in its $139 Lumia 550. The phone has a 5-inch screen, 5MP rear-view and 2MP front-view cameras, 8GB of storage and 1GB of RAM. The company’s latest Lumia phones will also be able to transform into tiny computers, thanks to the new Continuum support for Windows 10 mobile. Essentially, mobile users just connect their phone’s USB-C to an HDMI display, link a keyboard and mouse via Bluetooth and get to work. The company also announced a Continuum dock to help make that process even smoother. This opens the door for developers to create universal apps. Microsoft, of course, already has its native apps and Office line supporting the feature. 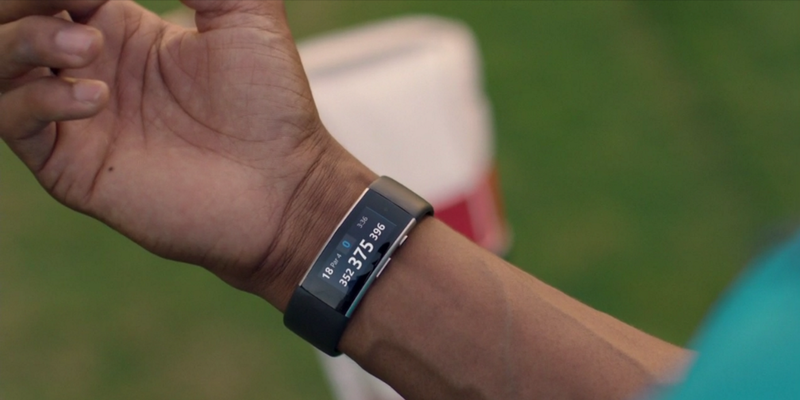 Microsoft’s foray into health and fitness, the Microsoft Band, is just a year old. But the company has already introduced the new and improved Band 2,which has a futuristic curved OLED touchscreen display. Building upon the Band’s wealth of sensors, the latest-gen wearable includes a n optical heart rate sensor, 3-axis accelerometer, gyrometer, GPS, ambient light sensor, skin temperature sensor, UV sensor, capacitive sensor, microphone, a galvanic skin response sensor, and a fancy new barometer to help measure elevation. The thing is chock-a-block with sensors, and that means that it can do more than count steps. According to Microsoft, it can measure other finite activities, like a golf swing. The Band 2 will run you $249. It’s available to pre-order from today, with a shipping time of October 30. 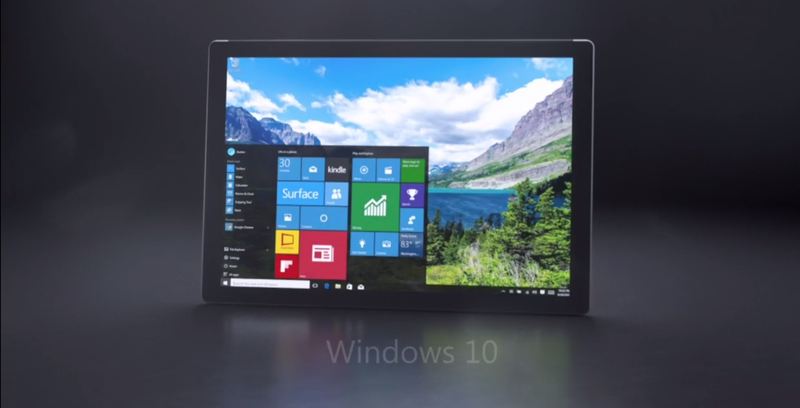 As expected, Microsoft has provided a successor to the Surface Pro 3 with Windows 10 built-in. The Surface Pro 4 has that and then some. The new 12.3″ PixelSense display packs 267 PPI, providing ample space for the tablet’s new magnetic pen, which can register 1024 points of pressure. 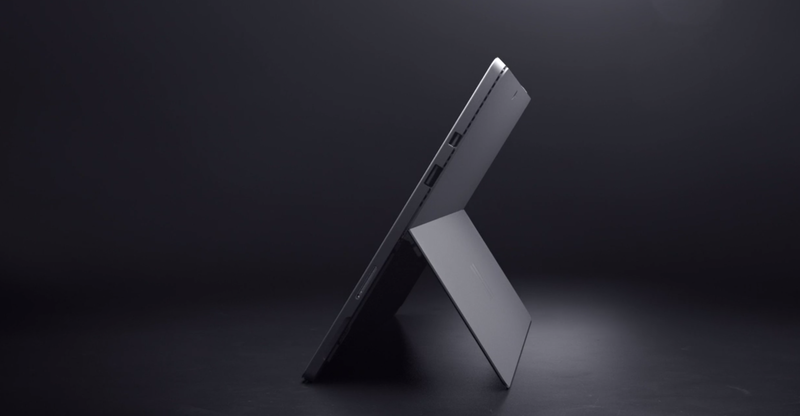 It packs the newest Intel Skylake chipset, and is a little slimmer than the Surface Pro 3 at 8.4mm thick. Along with the new tablet is a keyboard with integrated touch sensor technology, as well as four USB 3.0 ports, two 4K display ports and Ethernet port. Surface Pro 3 owners can also take advantage of the keyboard, as it is compatible with that model. The device will start at $899, with pre-orders opening tomorrow. It’s scheduled to ship on October 26. Microsoft did more than refresh its flagship tablet — it also created something entirely new. 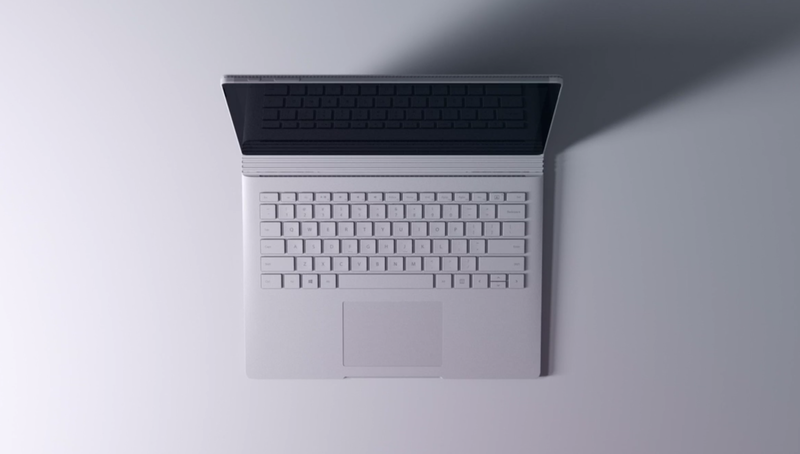 The Surface Book is a convertible laptop-tablet that relies on a removable “muscle wire” to transition between the two modes. The keyboard itself is removable, and all of the hardware stays in the Surface Book — there’s no downgrade in abilities when switching between the two modes. We walked away from the hands-on impressed by the 1.6 pound-device (3.34 pounds with keyboard). 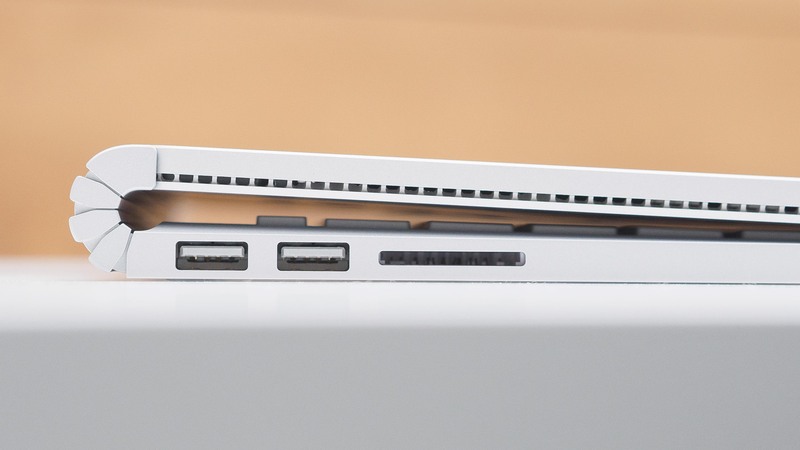 Surface Book starts at $1499, and the pre-order will start on October 7. The device will be available on October 26 in the United States and Canada, with other countries to follow. Is anyone still shocked at how freaking awesome the HoloLens looks? The company presented a new demo today titled ‘Project X-Ray’ — a game that uses X-Ray technology to analyze your home and tailor the play experience to the space. In sort, the wireframing technology within the HoloLens will be able to help the player adapt to whatever environment they are in, creating consistent gameplay without the need for a dedicated space. Microsoft also announced the $3,000 HoloLens Development Edition, available for developers for in Q1 of 2016. Microsoft is certainly developing a ton of new hardware in many different areas, and refining both of its Lumia and Surface lines to an impressive point. Now it’s all about waiting to see these devices hit the market.